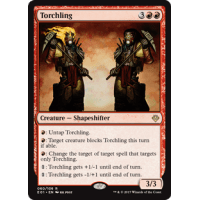 : Target creature blocks Torchling this turn if able. 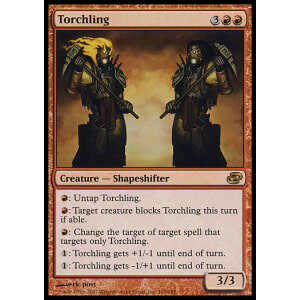 : Change the target of target spell that targets only Torchling. 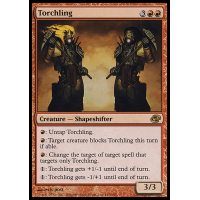 : Torchling gets +1/-1 until end of turn. 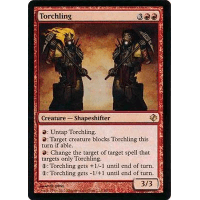 : Torchling gets -1/+1 until end of turn.